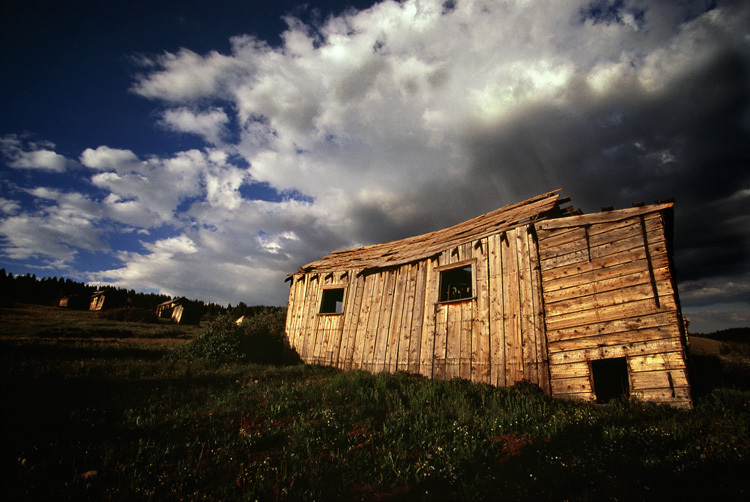 A bunkhouse in Summitville ghost town, Colorado. Captured on the Nikon EM with Fuji Velvia 100. Terrific lighting! Creates a real drama in the shot. Cool place here, this image really has some drama in it. Great sky and perspective. Fantastic. The fantastic sky really adds punch to this wonderful landscape. I agree with the others, great sky and light in this shot. nice light and rustic scene! fine work with the Velvia. really like the light here.